From the original concept as a one-night party for friends, Rhythm and Vines has evolved into the country’s biggest multi-day New Year festival, annually drawing around 30,000 concert-goers and attracting some of the biggest names in music. 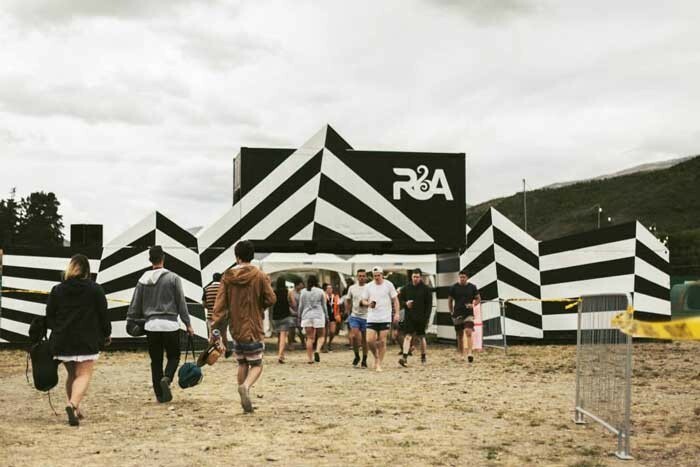 The idea of Rhythm and Vines came about in 2003 after fellow University of Otago students Hamish Pinkham, Tom Gibson, and Andrew Witters set out to hold an event for their friends in a safe and secure location. 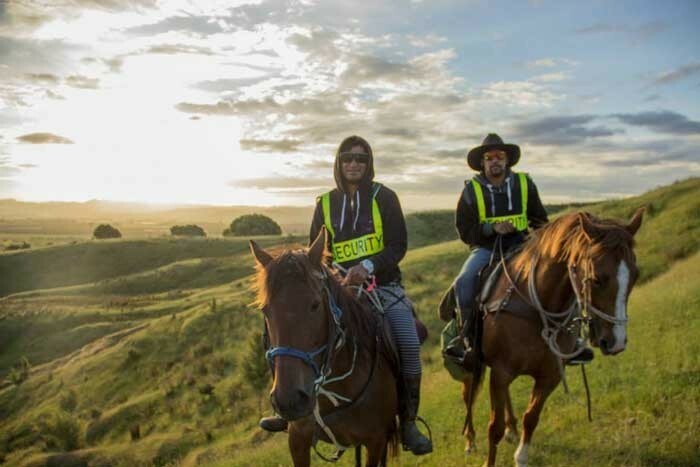 After some rough planning, the trio decided to approach Andrew’s father, Dean Witters, who owned the Waiohika Estate, a 6.7-hectare vineyard at the edge of the Poverty Bay flats near Gisborne. As well as a pristine setting with ample space, the property featured a natural amphitheatre which had been developed to attract concerts to the region. Hamish Pinkham recalls that the initial sales pitch to Witters was angled along “promoting his wine”. “When we approached him and said we wanted to bring a whole lot of DJs and reggae bands to Waiohika, I think he was a little stunned,” he told Radio New Zealand. With a tick of approval and some start up capital from Witters, the friends launched the company Rhythm and Vines Limited and set about budgeting and approaching acts to play at the inaugural event. 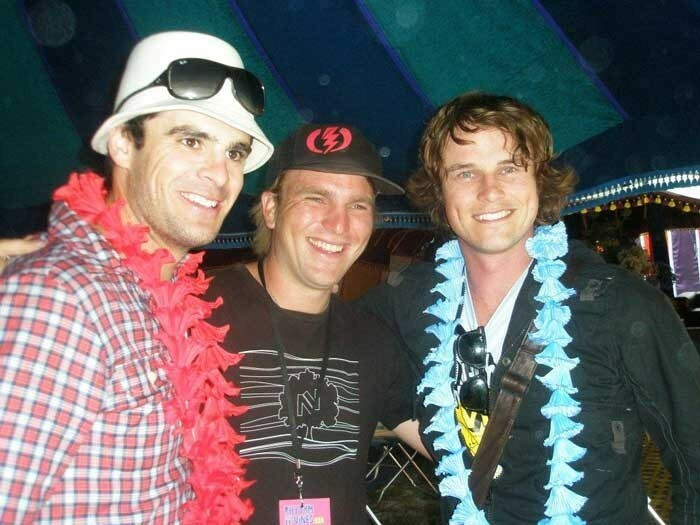 The first Rhythm and Vines took place on 31 December 2003, with around 1,800 people in attendance. The lead-up wasn’t without its bumpy patches. A liquor licence application was initially refused by Gisborne police because they were “too busy” with separate New Year celebrations in the town centre. After providing their case to the local council, a licence was eventually issued. Only days before punters were due to arrive, terrible weather conditions closed in making set-up near impossible at the venue. Discussions were had about pulling the pin if the sunshine didn’t prevail, though the weather eventually came through in their favour and members of the local Gisborne Lion’s Club were enlisted to help shovel bark and sawdust over puddles. The first Rhythm and Vines took place on 31 December 2003, with around 1,800 people in attendance. The crowd was predominantly made up of school mates, family, friends and Gisborne locals. A stage was erected to utilise one of the property’s pre-existing amphitheatres. Featured acts were The Black Seeds, in their first festival headline performance, DJ Soane and The WBC. Between working day jobs, the team defined their roles and worked on expanding the festival. They managed to attract five new sponsors, including the support of student radio stations. 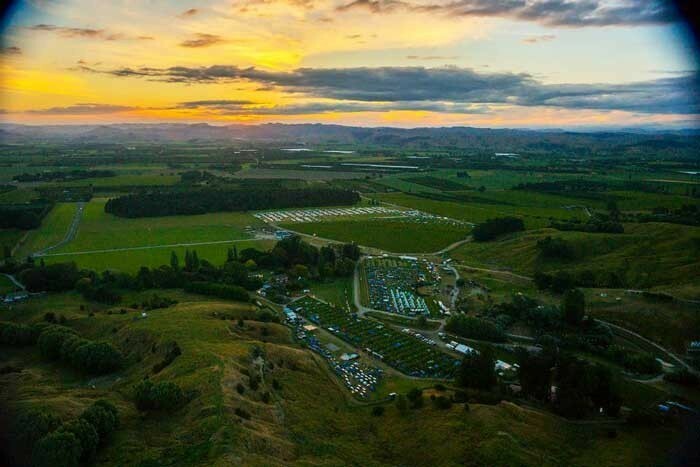 A second performance area was introduced to run concurrently with the main stage and organisers secured the campground opposite Gisborne’s Midway Beach. The campground was exclusively for the use of Rhythm and Vines ticket holders for a period of seven days. Free camping was also available at Waiohika Estate for those wanting to stay only for the night of the festival. Within 10 days of the event, ticket sales had only reached around 20 percent of the estimated target of 6,000. As the publicity machine kicked into gear, 5,500 tickets were eventually sold. In 2005, an additional section of Waiohika Estate was opened up, allowing for an increased capacity of between 10,000 to 12,000 people. The area utilised a second natural amphitheatre on the site and the sizeable grassy expanse provided the perfect location for a larger stage and higher scale production than previous years. The site became home to the Rhythm stage, the new default site for New Year celebrations. Dean Witters also contracted locals to move land and haul in part of a railway track for a bridge to provide access. The site also welcomed 85 flushing toilets and five kilometres of fencing. The festival was evolving into a well oiled machine by 2006, and continued to expand into four stages. The capacity saw a further increase to 15,000 and it was the first year that international artists were included in the line-up. Scottish electronic musician Mylo and UK group Crazy P flew in for the event. 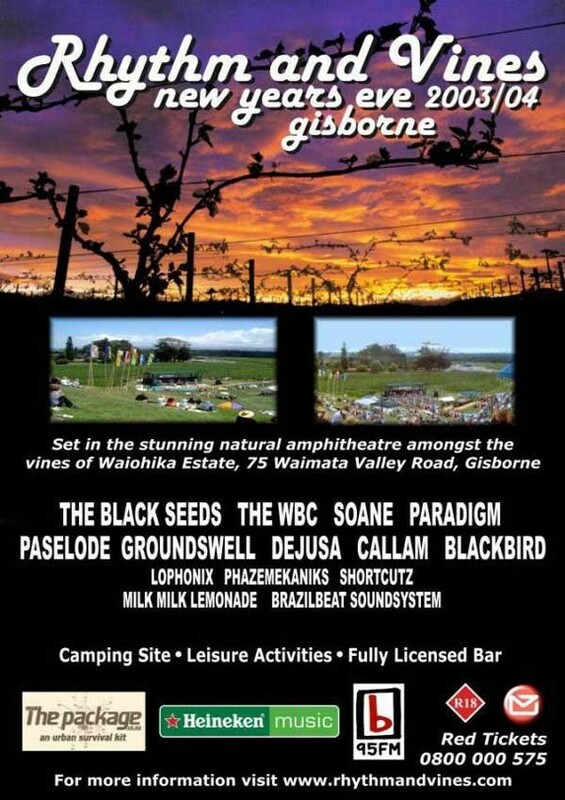 The Gisborne beachfront became its own entity as the BW Summer Festival, set up by co-founder Andrew Witters. Initially labelled “Baywatch”, the campground was reportedly forced to change its name after receiving a legal letter from the television series of the same name. As well as camping, the event offered a week of entertainment in the lead up to Rhythm and Vines, including its own artist line-up. Campsites were erected to cater for 5,500 people at Gisborne’s Awapuni Stadium, Watson Park, Churchill Park and Awapuni School, with the old meat works site on Centennial Marine Drive used as a giant car park. The site also gave access to 171 flushable toilets, 84 showers and more than 1.7 kilometres of permanent fencing. As word of mouth blossomed, the festival continued its upward trajectory in 2007, with consent granted for a capacity of 25,000. Consent was also sought for Waiohika to extend its restrictions beyond the sole New Year’s Eve event. The concept of an outdoor events centre was developed to allow up to five large events per year (10,000 – 25,000 patrons). Proposed events included the Gisborne Wine and Food Festival. In response to changes in the national and international festival market, organisers sought to expand Rhythm and Vines from a 24-hour event into three days. The extended timing allowed the ability to coordinate with the Australian festival circuit to contract bands that weren't previously available on the single day. Relationships grew with other festivals: Fieldays, Origin and Beyond the Valley. Six stages were in place by 2008 with over 120 acts completing the line-up. Boasting renowned international acts including Public Enemy, Franz Ferdinand, The Kooks, Santogold, as well as a strong contingent of local acts, it is regularly considered to be the strongest bill in the festival’s history. Shihad were given the task of ringing in 2009, alongside an upsized celebration of trapeze artists, flame throwers and a 15-minute display of fireworks. The pre-midnight slot is now unofficially known as the “Shihad Slot”. By leasing surrounding ancestral land from Mangatu Blocks Incorporated, a further seven hectares of onsite camping opened up to cater to the large number of visitors to the region. The huge influx of people naturally took its toll on Gisborne, which saw its population double in a matter of days. The city famously ran out of pies and petrol in 2008 and the economic boom continued over the 2009-2010 New Year period with the Gisborne branch of McDonalds taking in the highest turnover of any New Zealand store. The jump from one day to three created logistical problems for the organisers. It was detrimental to the festival’s budget, which blew out in a number of areas. It is estimated that the festival lost half a million dollars. As the organisation team reassembled in the new year, changes were made to the business model. Around 16,000 three-day tickets were sold for the 2009-10 festival. By 2010 the festival was back on track, securing its first ever sell-out. A capacity crowd of 25,000 made their way to Waiohika Estate to see international acts, predominantly falling under the bass and electronic banner: N.E.R.D, Netsky, Chase & Status, Chromeo, Justice, Flying Lotus and Tinie Tempah. 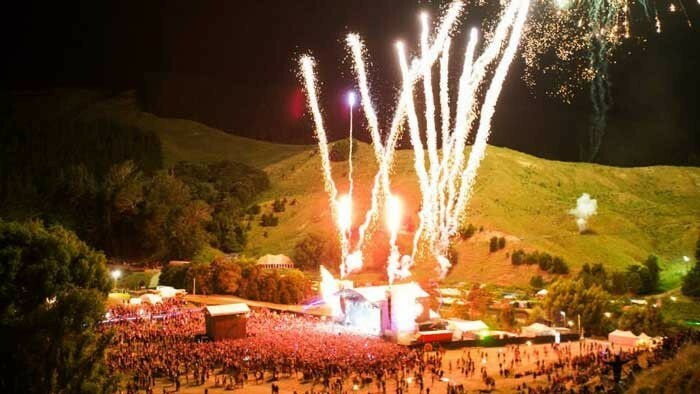 Following the capacity sales, it was reported that the festival had injected $12 million into Gisborne’s local economy. As icing on the cake, Rhythm and Vines was named Best Festival/ Event at the NZ Tourism Awards. By 2011 the event had expanded to include a date in the South Island. Suitably named Rhythm & Alps, the festival began outside of Methven in Terrace Downs. The inaugural festival hosted 34 international and local acts, several shared with its older sibling. 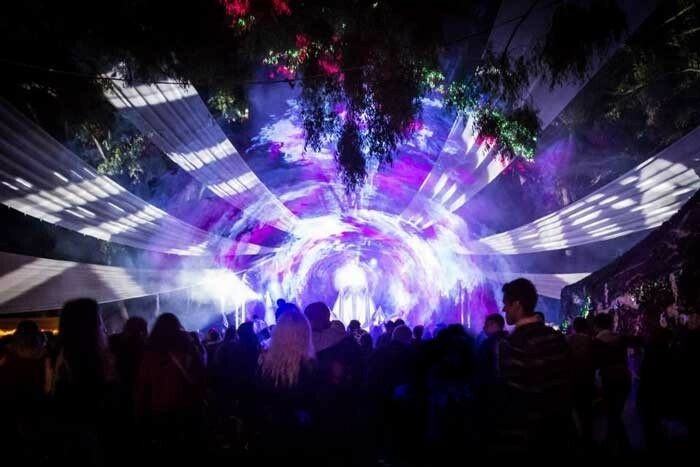 The site was made up of four performance areas, including the main Alpine Arena stage, the Rhythm Room, a Campground Stage focused on indie, punk and noise bands, and Where the Wild Things Are, which was surrounded by forest. The Rhythm brand also saw an expansion across international waters. 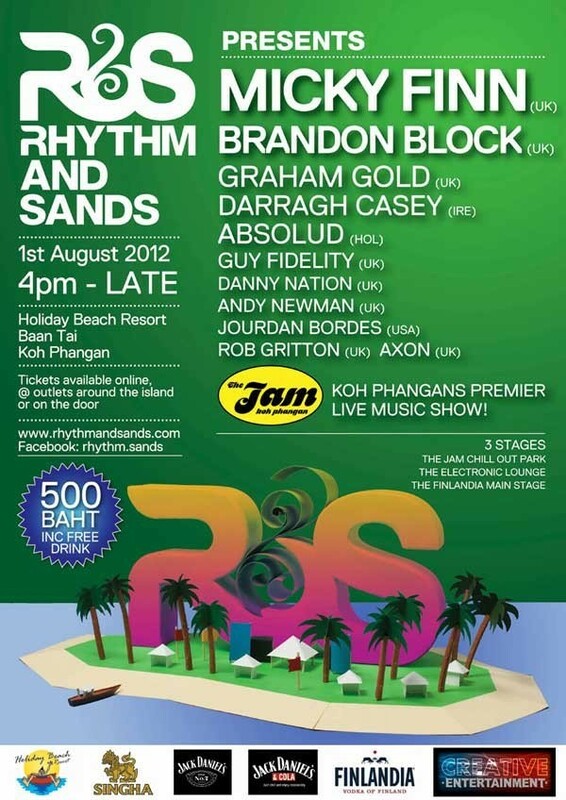 After being approached by a local promoter, Rhythm and Sands was launched in Koh Phangan, Thailand. The event was used as a way to test out the brand in a new environment and served as an alternative to the traditional Koh Phangan party scene. It featured three stages with a swimming pool as the centre point of the dance floor. A relationship was also established with South London drum and bass label Hospital Records, known for their travelling club night and strong contingent of electronic acts. A rotating roster of the labels acts are regularly shared between both Rhythm and Vines and Rhythm and Alps. In the lead up to the 10th anniversary of the festival, two sideshow events took place in Dunedin and Auckland. Labelled under the “Soundcheck” banner, the events were the first of many to take place under the Rhythm Group name, a new company launched to oversee both Rhythm and Vines, its sister festival Rhythm and Alps, and other local and international tours. The company also announced the appointment of new CEO, Kieran Spillane, who came from senior positions at Live Nation Ireland and the Mean Fiddler Music Group in London. Further changes under the brand included the move of Rhythm and Alps to Robrosa Station in the Cardrona Valley. The two-day festival was given a 15-year consent by the Queenstown Lakes District Council for the site, between the Cardrona Alpine Resort and the Pisa Plateau. In its new location, the festival catered for up to 5,000 campers and employed around 100 locals. The first event in the new location was a complete sell-out, attracting an estimated 10,000 people. To mark Rhythm and Vines’ 10-year milestone, a 15-minute documentary called Behind the Vines - Ten Years of R&V was created under the direction of festival founder Hamish Pinkham and videographer Dan Maas. The 16-minute documentary tells the journey of the festival through archival footage, interviews with festival staff and the members of the local Gisborne community. The celebratory festival wasn’t without its hiccups. Crew were forced to work through the night after a truck carrying audio equipment for the festival’s main stage rolled off the road into the Waioeka Gorge, about 50km north of the festival site. Further problems arose on the second night of the festival when a fleet of buses had their tyres slashed. Twenty-eight out of 70 buses were vandalised, ringing in an estimated $20,000 of damage. Despite the obstacles, 25,000 concert-goers were on site to ring in the New Year with a line-up lead by Rudimental, Wiz Khalifa, Empire of the Sun, and Zane Lowe. Praise continued following the milestone being given a nod in the Best Overseas Festival category at the 2013 Festival Awards. Founder Hamish Pinkham also won the Pacific Asia Travel Association's award for young tourism leader of the year. In 2014 Rhythm and Vines introduced the Arcadia Afterburner to take over the space that was usually occupied by the Vines stage. Brought in from UK mega-festival Glastonbury, the custom-built stage fused elements of sculpture, architecture, fire, music and lighting. While a crowd of 18,000 made their way to Rhythm and Vines to ring in the New Year, 11 kilometres away at BW Summer Festival a riot broke out at the campground between the two sectioned off campsites. Vehicles were overturned, tents burned and 83 people were injured from flying debris. Sixty-three people were arrested following the riot and the spotlight was stolen from what was a relatively smooth sailing event. After the well publicised behavioural issues and with just over half of the 30,000 tickets sold, organisers were again driven to look at a new business model for the festival. Thanks to an injection of private equity funding to pay creditors, the festival managed to avoided collapse. Thirty percent was cut from the running costs and staff were slashed from eight to just two full-time staff: Hamish Pinkham and Rhythm Group chief executive Kieran Spillane. The Rhythm and Alps festival also took a step backwards, attracting only 3,000 people and being left in the red. Former Rhythm Group GM Alex Turnbull took over the event under his company Bench Music. Some acts will still be shared with Rhythm and Vines for upcoming events. Andrew Witters’ BW Summer Festival was axed and is set to be rebranded as a campsite known as Beachfront. The changes are something of a blessing in disguise for the Rhythm and Vines organisers, who have been looking to distance themselves from the excessive drinking culture at the campground. As well as bypassing its traditional evening concerts, the site will not forge ahead with the BYO policy. Its capacity will be lowered from 8,000 to just 3,500 campers. 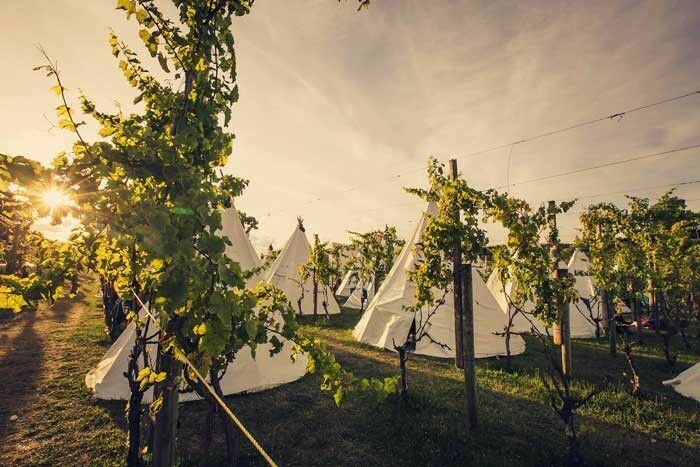 To accommodate the additional festivalgoers, onsite camping at Waiohika Estate is used to its full 6,000 capacity. Further changes include a reinvigorated Vines Stage, a new enclosed “super top” structure called Rhythm Arena, adjusted starting times, and significantly reduced ticket prices. Having taking a backseat in the festival organisation for two years, Hamish Pinkham will return to work alongside a newly appointed programme manager to design the 2015 line-up. 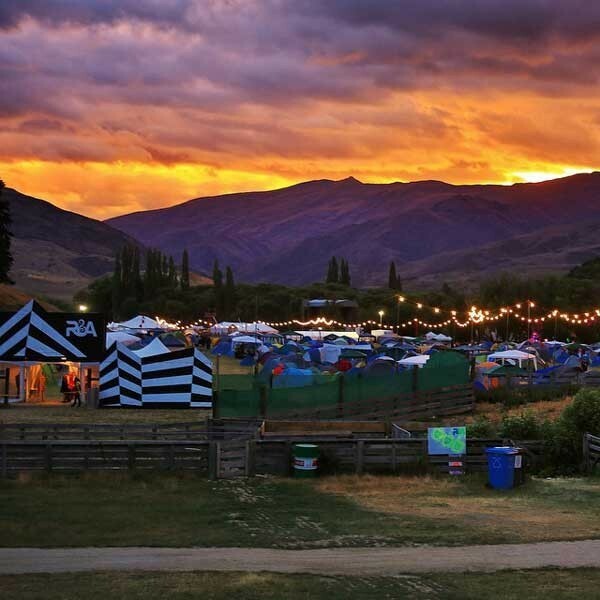 The 15th annual Rhythm and Vines festival took place at Gisborne’s Waiohika Estate from 29 to 31 December 2017.